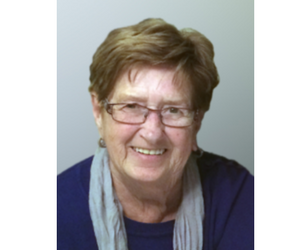 It is with a heavy heart that we announce the passing of a dear friend and long-time dedicated volunteer, Mrs. Murielle Drouin on Tuesday, December 12, 2017 at Hawkesbury and District General Hospital. Murielle contributed an incredible amount of time and effort over many years to the HGH Foundation. We will be forever grateful for her hard work, support and friendship and will miss her terribly. The employees of the HGH Foundation, all the volunteers as well as the board members of the Foundation, would like to offer their heartfelt sympathies to Mr. Drouin and his family. A service will take place at Saint-Pierre-Apostle parish in Hawkesbury on Saturday, December 16, 2017 at 11 am. The family will be present at the church from 10 am to receive condolences. More details are available at this online notice.